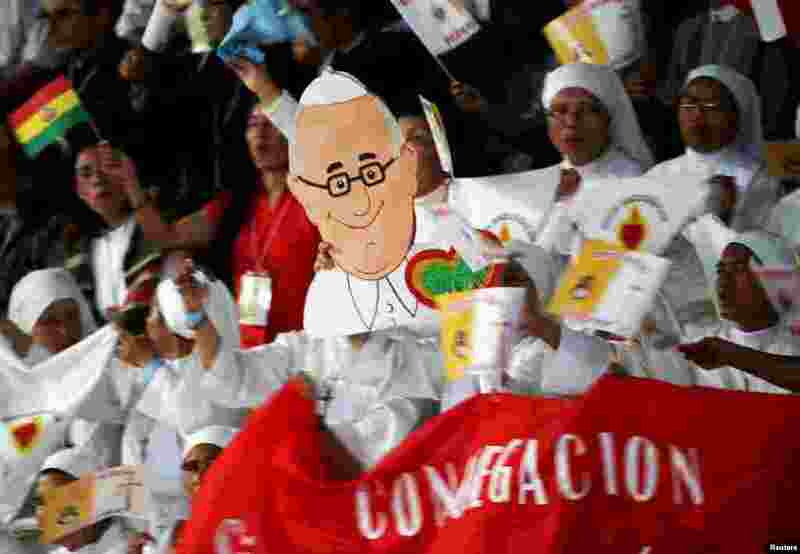 On Thursday, Pope Francis spoke out against corporate greed and apologized for colonialism in the Americas. 1 Pope Francis waves as he arrives at a meeting with priests and nuns in the Don Bosco school, in Santa Cruz, Bolivia, July 9, 2015. 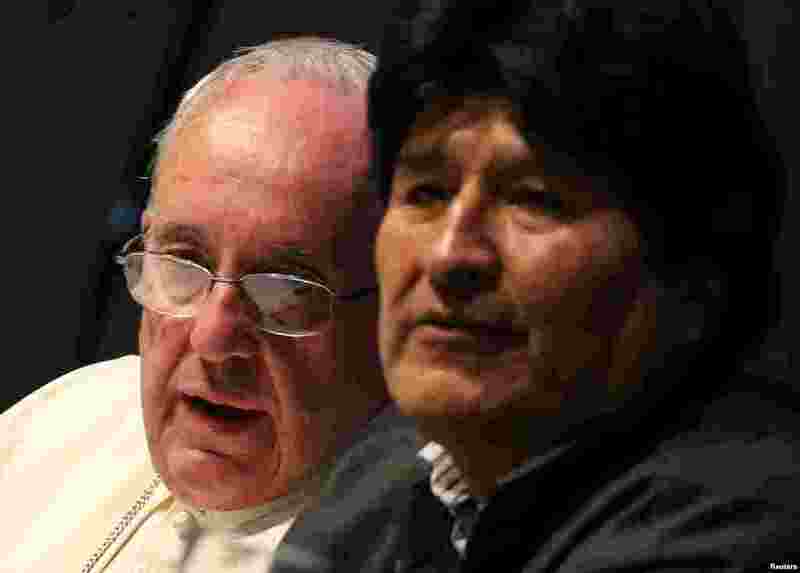 2 Pope Francis speaks to Bolivian President Evo Morales (right) during a World Meeting of Popular Movements in Santa Cruz, July 9, 2015. 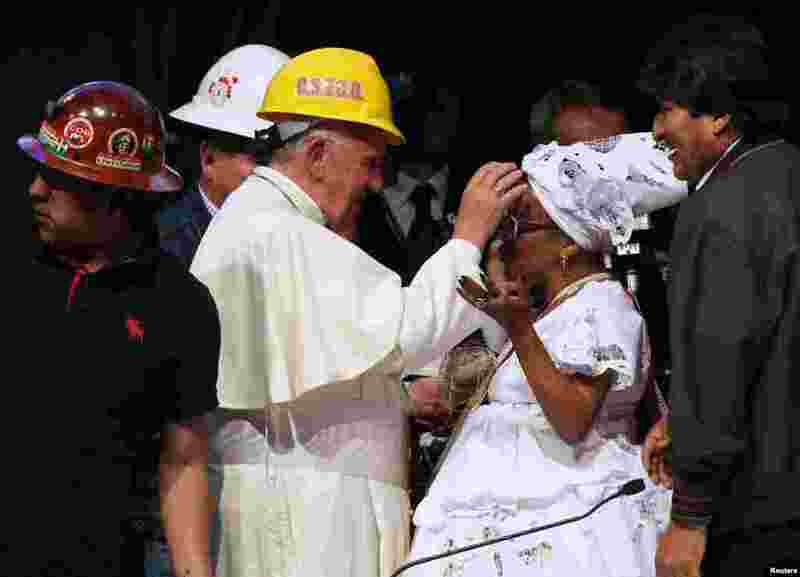 3 Pope Francis, wearing a helmet, blesses a woman as Bolivian President Evo Morales looks on during a World Meeting of Popular Movements in Santa Cruz, July 9, 2015. 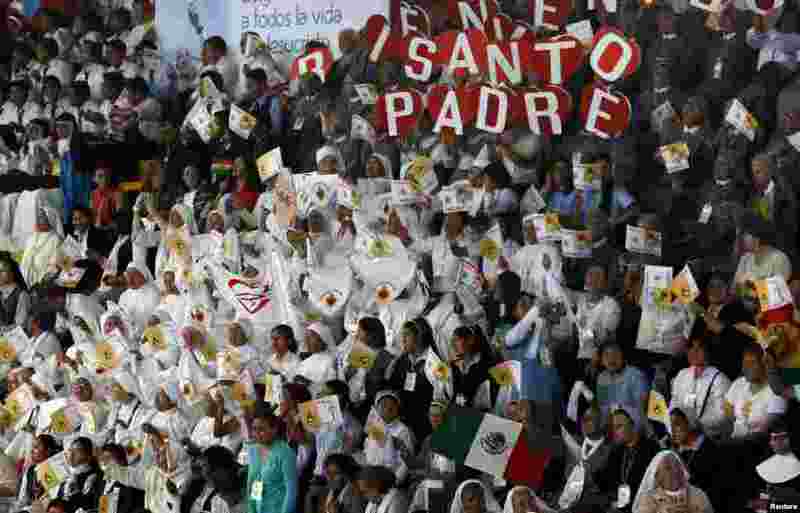 4 Nuns hold signs reading 'Holy Father' as they wait for Pope Francis at a meeting with priests and nuns in Don Bosco school, in Santa Cruz, July 9, 2015.